The Shiv Sena today said the prime minister has been assertive about India's stand on terrorism globally but the situation back home, especially in Kashmir has been worrisome, remarks that come against the backdrop of Narendra Modi's statement in the US on surgical strikes. 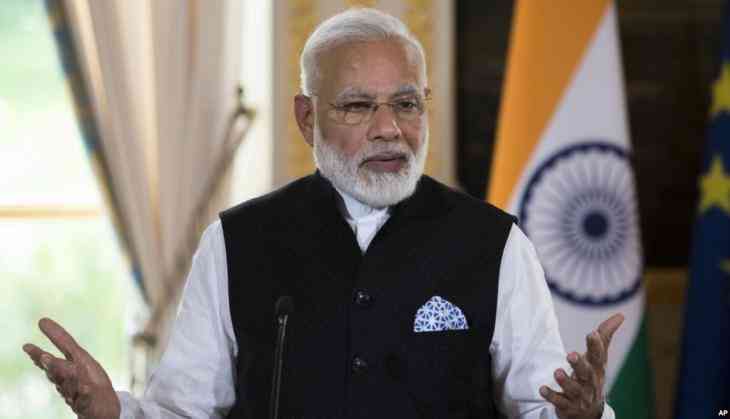 The party said that even as the prime minister tries to change the face of India globally, the condition of internal security is a cause for concern. "There was definitely a lot of weight in PM Modi's statement on surgical strikes. However, even after the strikes, terrorist activities from the Pakistani side have continued and our soldiers are getting martyred," the Sena said in an editorial in party mouthpiece 'Saamana'. On the occasion of Eid, Pakistani flags were hoisted and pro-Pakistani slogans were raised in Kashmir, it claimed. "(US President) Donald Trump has assured India of standing by it to counter terrorism. Earlier Presidents Barack Obama and Bill Clinton too said the same thing. But how much did they actually help is a matter of investigation. "Also, due to Trump's policies, lakhs of Indians are on the verge of losing their jobs in the US. There are hopes that the Modi-Trump meet leads to a solution on this," it said. "Uptil now, Chinese troops used to enter Arunachal Pradesh and Leh. Now it has been learnt that they have entered Sikkim and destroyed two Indian bunkers. This is a shocking incident," it said. The Sena expressed hope that the Modi-Trump meet would solve issues concerning Pakistan and China once and for all. The surgical strikes were launched on September 29 last year as a response to an attack by Pakistan-based terrorists on an Indian Army base in Kashmir's Uri in which 19 Indian soldiers lost their lives.